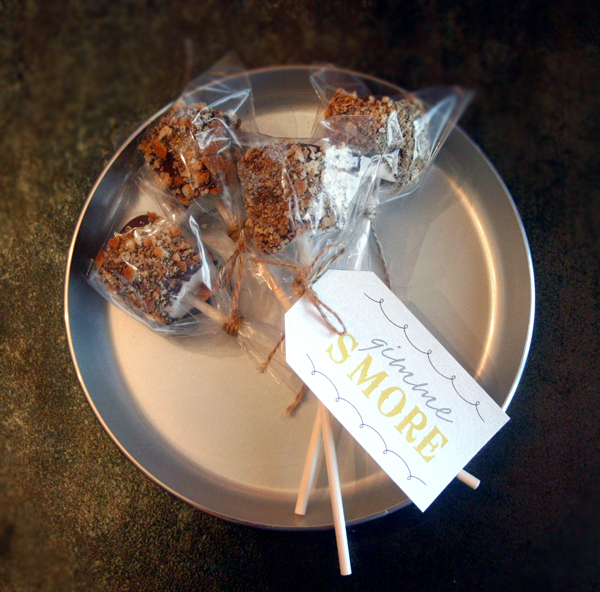 Be sure to visit my More S'mores Board on Pinterest. I posted on Tuesday about the Island Ikat paper from Thibault that I'm considering for our powder room. Ignore the light fixture and mirror - they're both being replaced. Here's the deal. 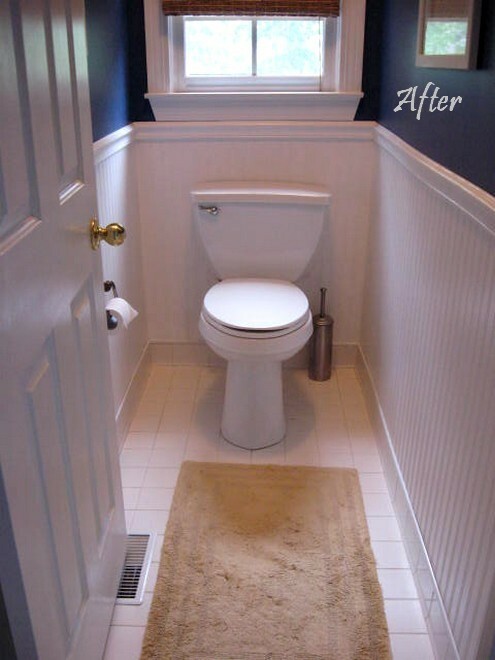 The powder room is the only bathroom on the main floor of our new house, so it's the one all of our guests will use and will also get a lot of use from us too. The other thing about this space is that it's close to the front door so the wallpaper will be one of the first things people see when they walk in so I want it to pop. A poppy bathroom. Bet you don't hear that very often, huh? 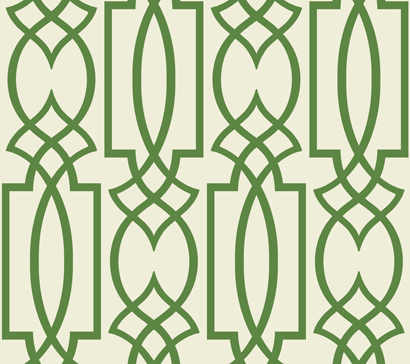 So back to the Ikat wallpaper. I think it's so purdy. But while I love it now, I'm wondering if it will seem too trendy in a year or two. Another option I'm considering is this gorgeous trellis design from York. And as much as I like the pink, I'd probably go for this kelly green version instead. It reminds me a lot of Kelly Wearstler's Imperial Trellis pattern, which looks so fab in this bathroom. But again, I wonder if the trellis will seem too trendy down the line. I'm also really drawn to this Thibault paper called English Crewel. I think it's more classic and even though it's a little more feminine, pairing it with Graham & Brown's beadboard paper might lessen the girliness. What is beadboard wallpaper you ask? It's an easy to apply and totally economical version of beadboard that Rhoda from Southern Hospitality has me totally into! I think it would look terrific on the bottom half of the powder room walls with one of the other papers above it. If I go with the half beadboard, this graphic fauna print from Jane Churchill might be fun. So if you were me, which would you choose? And would you go with the beadboard too or just the patterned paper? Too many decisions! For more of my home decor inspirations, check out my boards on Pinterest. Congratulations EDMONTONJB! You've won the $25 store credit to Pear Tree Greetings! You said you'd put it toward the Noel Greeting Photo Magnet Christmas Cards and they are adorable! Please e-mail me at afomft@gmail.com by end of day Saturday, July 30th to claim your prize. If I do not hear from you by then, a new winner will be chosen. If you're looking for some fun new paper goodies, head over to the Pear Tree Greetings Promo Page for discount codes on everything from invitations and baby announcements to stationery and save-the-dates. Happy shopping! Congratulations WINDYCITY! The original winner didn't claim her prize so I re-drew and you've won the $25 store credit to Bunch of Bees! 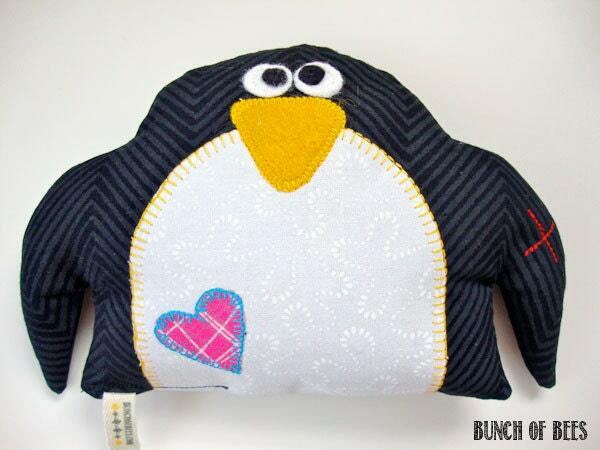 You said you'd put it toward a Felix the Penguin Boo Boo Bee Gone bag and I don't blame you - he is too cute! Here's my round up of a few of my favorite things at this moment. Blog I'm Loving: Sisteroo, where four sisters blog about crafts, food, decor, style and more. Want to see why I'm enamored? 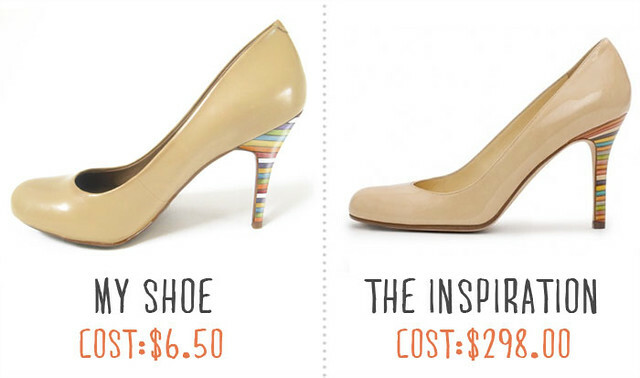 Check out this tutorial on how to DIY your own version of some Kate Spade heels. I actually like the cheap take better! 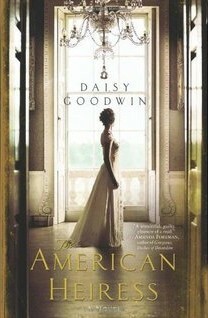 Book I'm Loving: The American Heiress by Daisy Goodwin. A rich American girl heads to England in the 1890's hoping to land herself a husband with a title. I could totally see the movie in my head the whole way through. Online Magazine I'm Loving: Rue. Issue #6 just came out and I cannot stop "flipping" through it. 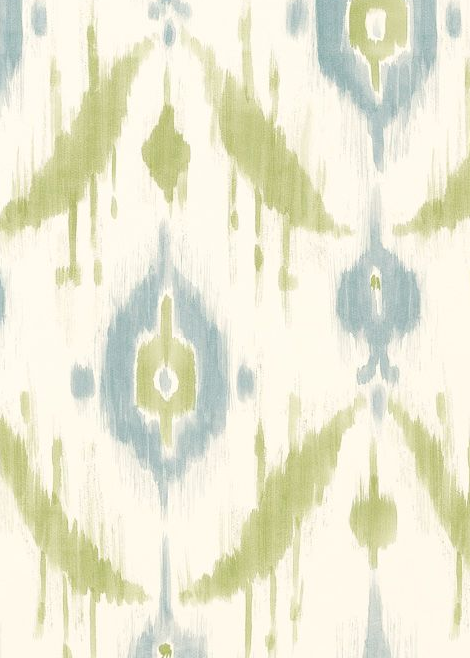 Wallpaper I'm Loving: I'm this close to pulling the trigger on this Island Ikat paper from Thibault for our powder room. You like? Cute Summer Craft I'm Loving: Wine Cork Boats from Creative Jewish Mom. Such a fun idea! Sweet Treat I'm Loving: Cupcake Milkshakes from Confessions of a Cookbook Queen. I want one pronto! 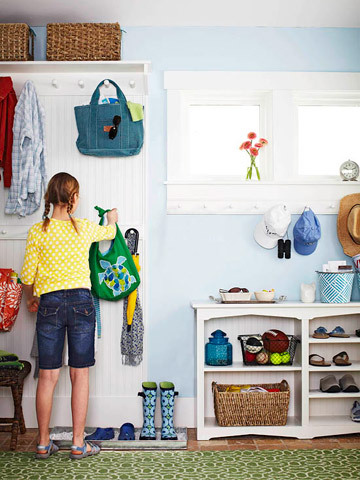 Home DIY Project I'm Loving: This DIY mudroom from Better Homes and Gardens is brilliant! TV Show I'm Loving: HGTV's Design Star. I won't lie - I hated last season. With a passion. But this season has me hooked again (hooray for including hosting in the challenges and David Bromstad! ), even without Clive Pierce. Kids Style Find I'm Loving: Gabrielle and Alaina need these Minnetonkas. Badly. 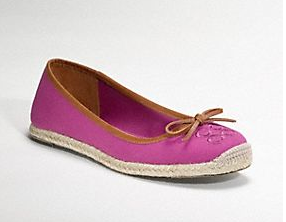 Mama Style Find I'm Loving: I just bought these Coach Darcelle espadrilles and they are so comfy and beyond cute. Plus, they're marked down from $129 to $69. Funny I'm Loving: Please tell me I'm not the only one. I would love to hear about the things you're loving right now! Share the app, movie, book, craft idea, TV show, whatever that's got you giddy in the comments and your picks might be included in next week's TEN ON TUESDAY feature. One thing I loved about living in New York City was the fact that I could walk anywhere. I would just pop the girls into their stroller and hit my favorite stores, head to the park, meet friends for lunch, whatever. No loading the little people in and out of the car, worrying about parking or anything like that. The only downside? Bad weather. Sure, the girls were snug and dry under their stroller cover but it never failed that I would end up drenched since I don't have to perfect balance necessary to hold an umbrella while pushing a double stroller. Enter My Blue Bumbershoot, the answer to my rainy day prayers! 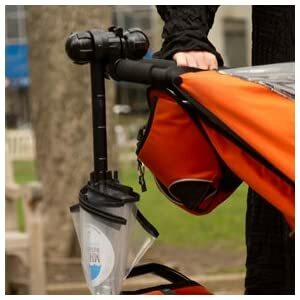 Invented by Melissa and Caryn, two city moms like me who were tired of being held hostage by the weather, My Blue Bumbershoot is a lightweight umbrella that attaches to pretty much any type of stroller with this easy to use clamp. And I was ready to head out into the wet, knowing that for once I'd stay dry. Yes, it was that quick and simple! While the My Blue Bumbershoot umbrella was fabulous on the Jane Powertwin tandem stroller we used in the city, I really love having it now that we're living in the 'burbs and I'm using our Maclaren double more often. The only thing I dislike about this stroller is the fact that it doesn't have a contiguous handlebar, so holding something like an umbrella while pushing it is impossible. But now, I don't have to worry! The umbrella is adjustable to accommodate different heights (it worked for little 5'3" me and my almost-6-foot-tall nanny!) and it can be tilted to block rain coming from any direction. I also love how large it is and that it's see-through so you have a good 360 degree view. And when the sun comes out again, you can re-position the umbrella so that it faces downward and is out of your way. Easy peasy. My Blue Bumbershoot is one of those products that makes you think "Why didn't I think of that?" and then once you use it, makes you wonder how you ever lived without it. Trust me - if you're a regular "stroller chauffeur" as Melissa and Caryn put it, My Blue Bumbershoot will mean rainy days won't seem nearly as miserable anymore! "Like" My Blue Bumbershoot on Facebook and leave a comment that A Few of My Favorite Things sent you. Please leave a separate comment for each entry (two if you've blogged about the giveaway) and make sure to include a link to your tweet, blog post, etc. All entries must be posted on AFOMFT as a direct comment to this post. Comments on Facebook will not count as entries. This giveaway is open to residents of the U.S. only and ends August 1st at 11:59 pm EST. The winner will be selected by random.org and announced on AFOMFT on August 2nd. If the winner does not contact AFOMFT within 48 hours, a new drawing will be held so be sure to check back to see if you've won! Please note that I was sent a My Blue Bumbershoot umbrella for the purpose of this review and giveaway. No other compensation was received. The opinions I've shared of this product are my own and yours may differ. Happy Sunday! Here are a few things I enjoyed around the Internet this week. I'm always looking for new books for the girls and this round up has quite a few new ones I can't wait to check out. A super yummy twist on the make-your-own-banana-ice-cream recipe. Here's a great - and edible! - way to repurpose your sand toys. I love garlands and this one has to be the most darling I've ever seen. A fabulous tutorial for making your own party ware. Gabrielle and Alaina are obsessed with cars right now and I'm sure this great DIY project will keep them entertained for hours. If you have a Link You Loved This Week - from your own blog or another - post it here. I love seeing what's catching people's attention! It's been hot as heck here, so today's picks are all beverages that will help cool you off (and maybe get you tipsy!) from my Drink Me board on Pinterest. Can you tell I love a good drink poo? If you have a favorite, I'd love to hear what it is so please share it in the comments section. You can follow my boards on Pinterest HERE and if you're on, post a link to your profile or your user name so I can follow you too! Since everything S'mores seems to be a hit recently (even Martha shared S'mores Squares today! 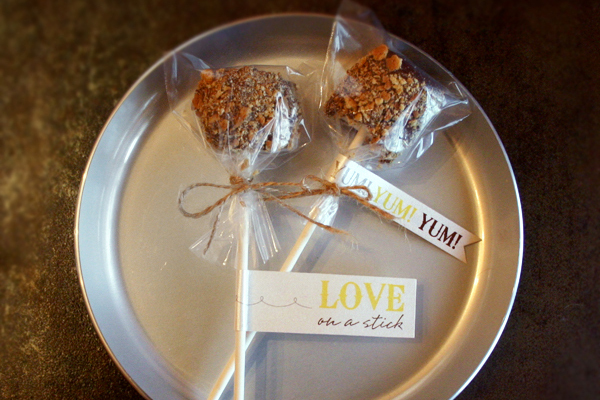 ), what better freebies to share today than downloads to go along with your sweet treats? I love these pretty tags from Paper Stories, and they come in two different colors. And MG Party Impressions has a super cute S'mores kit bag topper. Over on A Subtle Revelry, you can get all the goodies you'll need to throw your own "Roast & Toast" party, from invites and favor toppers to beverage tags to toppings labels! Plus a recipe sign showing your guests how to concoct fun variations. My favorite? The Elvis - graham cracker + banana slice + peanut butter cup + marshmallow. Divine! Download everything HERE. Hope you enjoyed today's picks and for more fab freebies, check out my Freebies & Printables Board on Pinterest!